My passion for art has been a lifelong journey and my website reflects that journey. From my early roots as an editorial cartoonist in the early 60’s, followed by owning a sculpture studio, through today where my paintings and portraits reflect the variety of subjects that attract my interest. 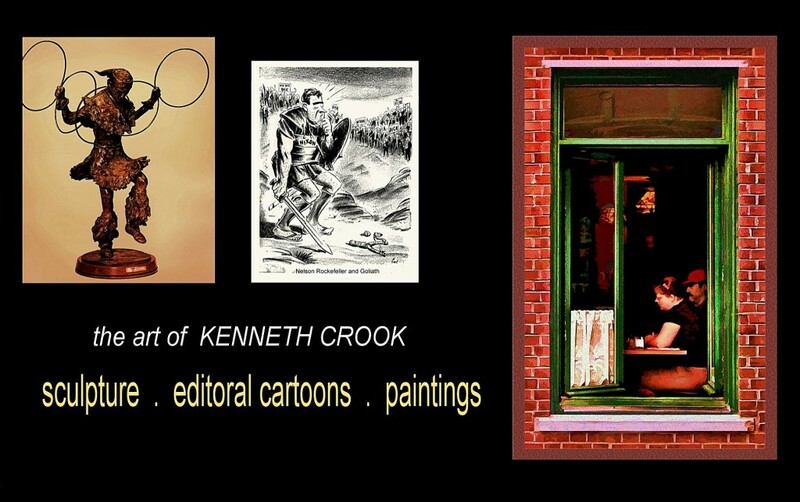 All images on these site are copyrighted by Ken Crook. They may not be reproduced, distributed, or modified without explicit permission from the artist. All rights reserved.